I'm not a fan or in need of a dive watch... Simple time and date that will look good at the office or out with the family. Thoughts? I'm leaning towards a Bulova Precionist I'm a fan of the continuous movement they offer anyone actually own one? Reviews seem highly positive. Thanks!! I've started looking myself, but I'm still not sure I would really wear one daily. Here is a site with some pretty good reviews and pictures that I learned about from Mark Herro, aka mantic59. 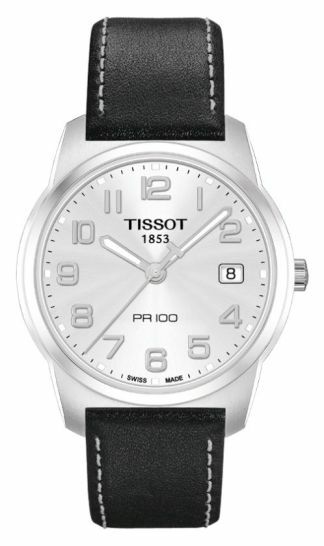 I purchased a Swiss Tissot PR 100 about a year ago, so far I'm very pleased with it. Hi Steeleshaves, I'm not that knowledgeable about watches but I do know what I like. Any of the three makes you name would give you a good dependable watch in your price range. You have to ask yourself what you want it for - is it to provide information at a glance? i.e. time, date etc or is it as a fashion accessory? If you've never worn a watch before then you should know that the material the band is made of can be an important feature, I personally don't like steel link bands because they pinch and tug at the hair on my wrist but a lot of people do like them. You said you wanted something simple but then you mentioned your preference for the Bulova Precisionist. Now obviously YMMV applies to more than just razor blades, but I find the Bulova a little busy for my tastes. I have a citizen ecodrive that my family gave me as a birthday gift recently that is very nice. Here is a link to a citizen eco-drive watch that might suit your tastes and its a bit more than half your budget (more money to spend on shaving stuff!). http://www.citizenwatch.com/en-ca/watche...CA4210-24E Now this one is a little busier than I like as well but I realize that not everyone sees the world the way I do. I like plain chronograph with day/date. The eco-drive powers off of any light source so you never have to wind it or change a battery or shake it to self-wind it. Good luck with your purchase but be warned, its easy to start collecting watches and they can get pricey. My attitude is - why would I want to pay big bucks for a watch when I can get one for $50. that keeps time just as well and in some cases better than watches several times that price? Like jcmy53 I have a Tissot - it is a dive watch and I do wear it diving so it serves the purpose. I also have a manual wind watch - a behZ (Bulgarian Manufacture) so no batteries. I also carry a pocket watch alot of the time. You can buy a 120 year old Elgin watch for $55 that keeps great time. Most of the watches I have are manual wind or automatic wind. I guess for the most part I am old school and like the well made classic mechanical items. Let me ask you - are you looking for a battery watch, an automatic wind watch, or manual wind? Are you looking for the Chronograph features? Large or small? Finally - how much do you want to spend? (11-28-2015, 04:21 PM)Marko Wrote: Hi Steeleshaves, I'm not that knowledgeable about watches but I do know what I like. Any of the three makes you name would give you a good dependable watch in your price range. You have to ask yourself what you want it for - is it to provide information at a glance? i.e. time, date etc or is it as a fashion accessory? If you've never worn a watch before then you should know that the material the band is made of can be an important feature, I personally don't like steel link bands because they pinch and tug at the hair on my wrist but a lot of people do like them. You said you wanted something simple but then you mentioned your preference for the Bulova Precisionist. Now obviously YMMV applies to more than just razor blades, but I find the Bulova a little busy for my tastes. I have a citizen ecodrive that my family gave me as a birthday gift recently that is very nice. Here is a link to a citizen eco-drive watch that might suit your tastes and its a bit more than half your budget (more money to spend on shaving stuff!). http://www.citizenwatch.com/en-ca/watche...CA4210-24E Now this one is a little busier than I like as well but I realize that not everyone sees the world the way I do. I like plain chronograph with day/date. The eco-drive powers off of any light source so you never have to wind it or change a battery or shake it to self-wind it. Good luck with your purchase but be warned, its easy to start collecting watches and they can get pricey. My attitude is - why would I want to pay big bucks for a watch when I can get one for $50. that keeps time just as well and in some cases better than watches several times that price? Does Bulova make a quality watch that is comparable to the other two? Price range I'm looking at of 600 all three of these makers have several offerings that fit that range. I'm starting to see the watch world is as much YMMV as the shave world. I asked that same question on a watch forum and the answers ranged from Bulova is carp to Bulova makes pieces the other two wish they made.... This is confusing as hell. Marko Wrote: My attitude is - why would I want to pay big bucks for a watch when I can get one for $50. Probably the same reason we spend hundreds of dollars on a razor or buy 20 different soaps - because we can. You can buy a $15 Timex or buy a $0.30 Bic razor - both get you to the same place - tell you the time or shave your beard but it just isn't as neat. If the goal is a reliable watch then a nice Citizen will work but will still set you back at least $150. If you want something different then look at other brands. 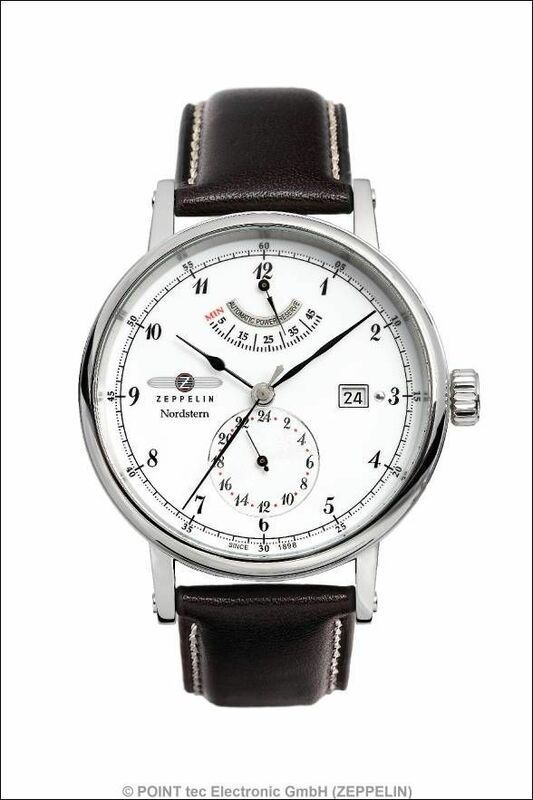 The watch below is a Graf Zeppelin Nordstern - it has a Citizen movement inside but doesn't look like anything they sell. If you get an automatic winding watch like this then you don't need to worry about batteries. If you want a Chrono style - what are you going to use it for? I start mine when I start diving to keep track of my time underwater so I can figure out my dive tables. Otherwise I never use it for anything else - so is it something you want or need? Lately I like the plain look as opposed to some of the massively cluttered watch faces but that is a personal preference. HI Cincinnatus, I don't have any concerns with expensive watches I just don't buy them and I never suggested that Steeleshaves shouldn't buy them. I see your point on the similarities with razors but I think very few of us are completely consistent with our likes and dislikes. Walking contradiction I guess. By the way, Steeleshaves, that boluva is very nice. When I googled the precisionist this morning I saw a different one, the Manchester United model. I like the one on the other end of your link better, minimalist. I'm actually a Seiko fan. I own several and really like them. My next buy, I like that precisionist as well. (11-28-2015, 11:44 PM)Cincinnatus Wrote: Marko Wrote: My attitude is - why would I want to pay big bucks for a watch when I can get one for $50. I'm not a diver and I'm not a fan of all the clutter on the watch faces myself. simply wearing it daily to the office and out with the wife when we can get a night out that is! !